One thing you find if you look behind the scenes of a group like the GFC is that to make it function properly there are a lot of documents to create, forms to fill out and spreadsheets to look through. It starts to become a pile of paperwork. Even to ask information from someone has a habit of requiring a google form to be loaded up in a web browser and filled out which means your having to ask people questions and cipher through one type of document or another. 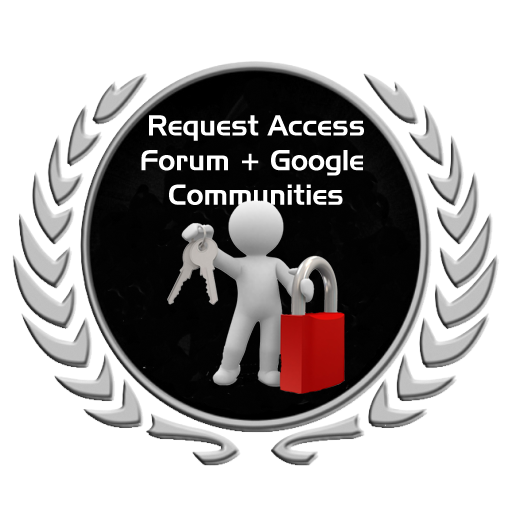 Here in GFC Research its clear that there should be simpler ways of doing stuff, starting with requesting access to the GFC forums and Google communities members pages. We have created a device where the person requesting access to those area's clicks from a list of options. Once clicked they are given a handful of options. When the 1 to 3 option is selected a textbox appears on your screen and it just requires you to type in your email and press the send button....Thats it...Nothing more to do, no form to open on your browser, just type it inworld and send. From there the device will automatically fill out the form behind the scenes with your Secondlife name already added without needing to ask you, plus the email you entered gets transferred to the spreadsheet. (Those dealing with the request can have emails of application sent the moment it happens). When selected, the forum email will go to the sheet which deals with that request, G+ goes to another sheet and the both option will send requests to both sheets at the same time if the same email is being used. One major advantage of using an inworld textbox is that when the data is sent off because you can detect who sent the message you know exactly who the person is and can use that name as the sender, the spelling will be correct and you'll have their proper legacy names so they will always be easy to find in search, also if someone wants to play about sending out silly emails or data you already have the culprit. 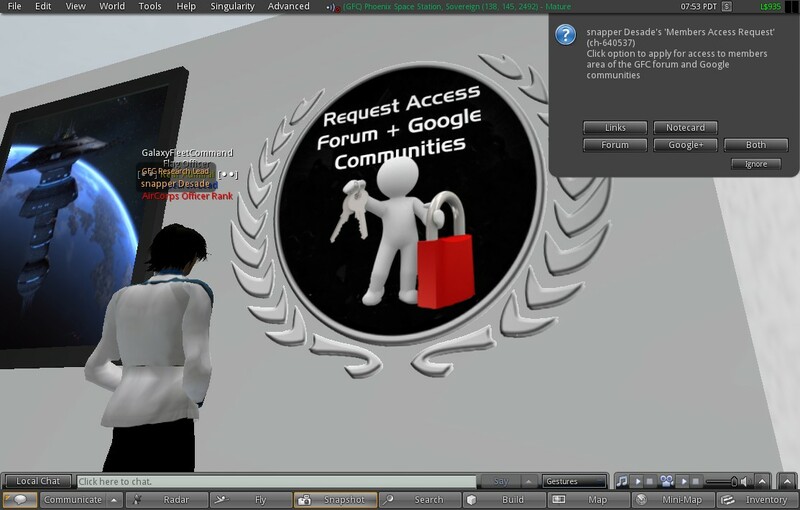 Option 4 places a list inworld in your chat channel with web links to blogs, forums, communities and facebook which you can click and be taken directly there, option 5 just gives you a notecard with the same info on. 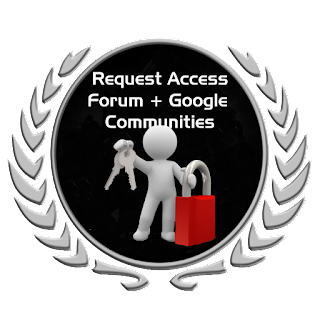 This system makes a quick and fast way for users to apply for access to certain members areas without fuss in seconds. This device have so far been places in recruitment and a room in Phoenix Stations welcome area.